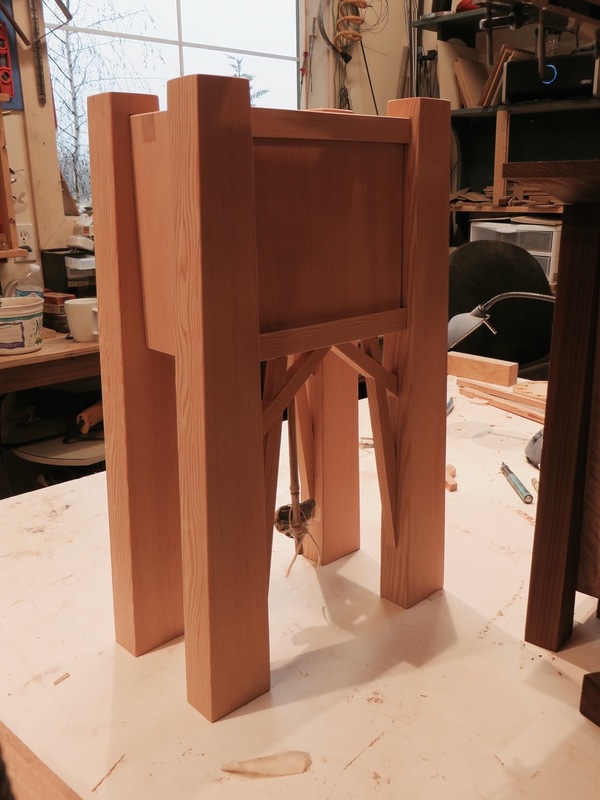 The wooden trusses of an old water tower inspired this new design. 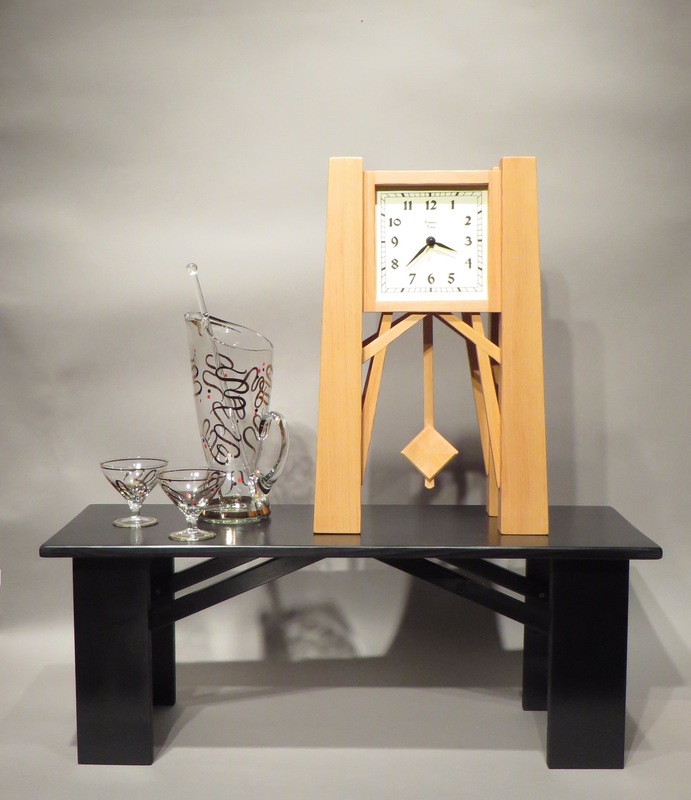 The lap-jointed “scissor truss” motif is carried through for both the front and back. 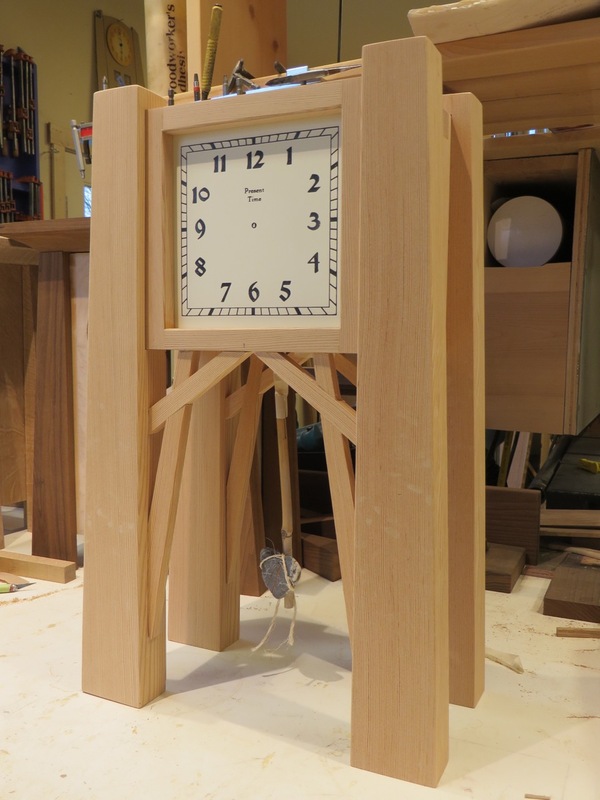 The wooden pendulum swings freely between the trusses and is finished both front and back. 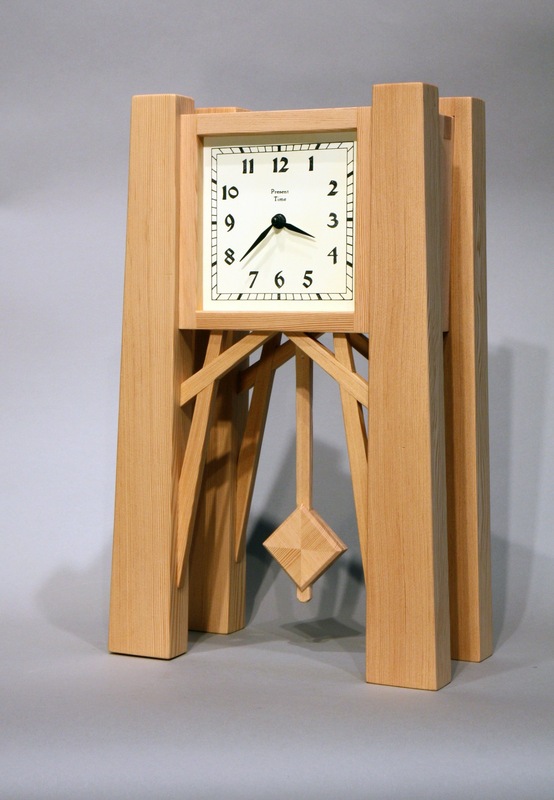 This clock is made in old growth vertical grain fir, and could also be made in other woods and as well could be made as a two-faced “Library Table” clock. This clock works well in a contemporary or eclectic setting, or just for someone looking for something unique.